St. Louis' newest brewery will begin pouring its first official beers on Friday, August 31, at 1 p.m., but the journey to the first pours for Mackenzie Brewing Company began back in 2011. Seven years later, the idea is about to come to life in Valley Park. "I realize that not everyone is as fond of Belgian and high-gravity beers as I, and many others, might be. So we will offer a few sessionable beers to compliment the many tastes that exist. One of these will be the ubiquitous IPA along with an American Wheat and a nice American Brown. 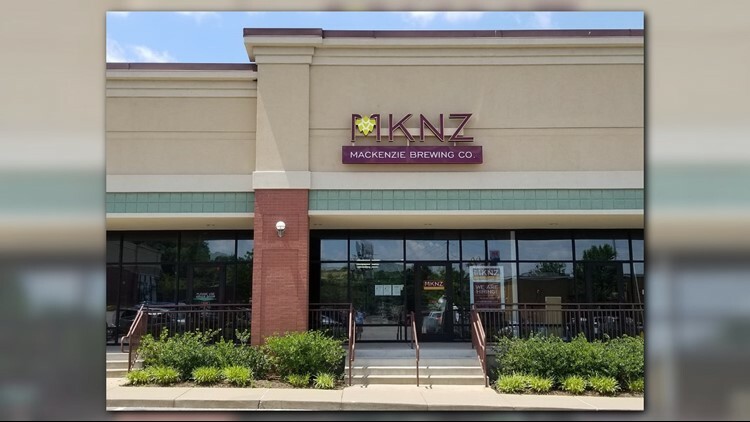 Mackenzie Brewing will become a new destination for regional craft beer lovers who often say, there isn't enough good craft beer in St. Louis County. "We are providing a true brewery experience that is closer to home for the local craft beer enthusiast," said Doss. We are in a small retail location and enjoy the benefits of ample parking and many local restaurants to choose from." Speaking of food, while they do not have a kitchen, customers are welcome to bring food from our neighbors or have a pizza delivered. "With our friends at Sugarfire44 just 100’ away, everyone gets the best of both worlds, great BBQ and beer," said Doss. Inside, the motif resembles an upscale bar with tile wainscoting and a stone bar top. While not a sports bar, Mackenzie Brewing will have plenty of TV’s for sports (when sports are on) and music for all tastes. Doss' brewing philosophies more traditional in nature, and enjoys beers made “to style”, with some exceptions. "I tell a lot of people that I like my beer to taste like beer! That said, there is a great demand for some flavored beers, such as fruit in the summer and pumpkin in the fall. This fall we will have a ‘Harvest Stout’ that is deftly spiced so the flavor of the beer is not covered, but propped up. Likewise, following our initial eight beers, we have a plan for a sessionable Vanilla Porter, but it’s a Porter first, not a vehicle for the added flavor. Doss is working on a highly spiced and fruited high gravity beer that may be ready by late winter. But what you will not find a Mackenzie is 'glitter beer'. "The concept of a ‘glitter beer’ disturbs me," said Doss. I know it’s a good marketing foil for some, but glitter doesn’t bring any flavor to the party." Monday - Thursday | 3 p.m to 1 a.m.